Numbers ARE The Language of Real Estate! Whether it's access to our technology via e-Edge, KWConnect, or KWVideo; learning through model-based courses such as Ignite, BOLD, SHIFT, or MREA; participating in our Productivity Coaching Program with Teal Clise; MAPS Individual or Group Coaching Programs; or one-on-one business and leadership consulting with Tina Believau and/or Vlad Kats, our agents have what they need to transform their their lives, their businesses, and their communities! Keller Williams Legacy has MORE associates who help MORE clients buy and sell MORE real estate than ANY OTHER single real estate office in Baltimore City and Baltimore County! 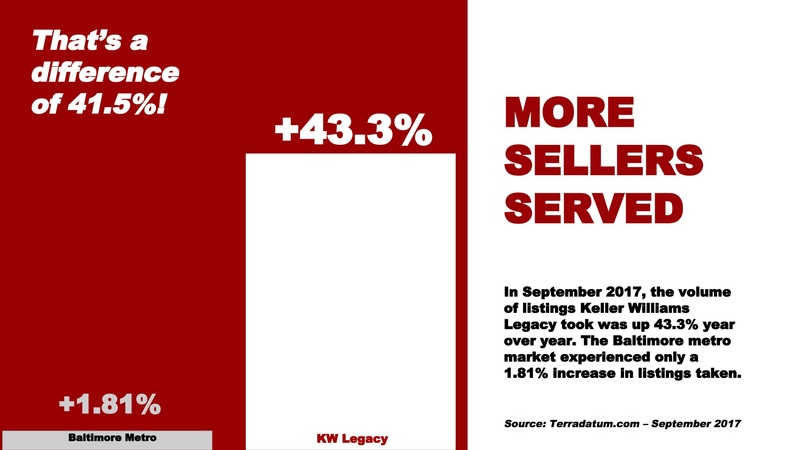 Click here to discover how Keller Williams Legacy compares with the overall market. 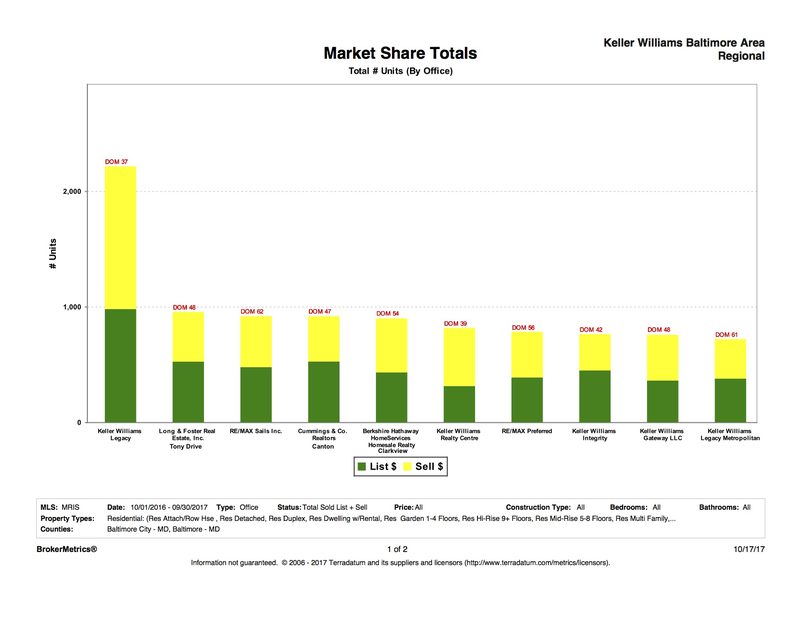 Click here to discover how Keller Williams Legacy compares with other real estate offices. If you're a buyer or seller, and are in the process of selecting the right agent, you can trust Keller Williams Legacy associates with your real estate needs! After all, more clients TRUST our agents than those from any other real estate office in the Baltimore area. If you're a current or aspiring real estate professional, Keller Williams Legacy may be the right home for your real estate business! To learn more, call us today for a confidential business consultation and learn how our proven systems, models, and tools can benefit you!